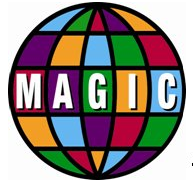 ECC Library is hosting two book discussions this fall sponsored by the MAGIC committee. Bring a bag lunch and join us for lively discussions in the library conference room, SRC 250. Light refreshments will be served. 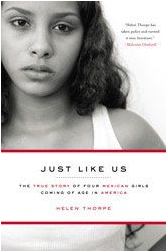 Just Like Us tells the story of four high school students whose parents entered this country illegally from Mexico. It is a coming-of-age story about girlhood and friendship, as well as the resilience required to transcend poverty. It is also a book about identity – what it means to steal an identity, what it means to have a public identity, what it means to inherit an identity from parents. The girls, their families, and the critics who object to their presence allow the reader to watch one of the most complicated social issues of our times unfurl in a major American city. And the perspective of the author gives the reader insight into both the most powerful and the most vulnerable members of American society as they grapple with the same dilemma: Who gets to live in America? And what happens when we don’t agree? In Three Cups of Tea: One Man’s Mission to Promote Peace . 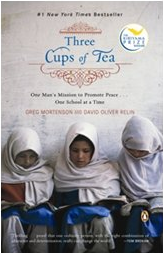 . . One School at a time, Greg Mortenson and journalist David Oliver Relin, recount the journey that led Mortenson from a failed 1993 attempt to climb Pakistan’s K2, the world’s second highest mountain, to successfully establish schools in some of the most remote regions of Afghanistan and Pakistan. By replacing guns with pencils, rhetoric with reading, Mortenson combines his unique background with his intimate knowledge of the third-world to promote peace with books, not bombs, and successfully bring education and hope to remote communities in central Asia. Three Cups of Tea is at once an unforgettable adventure and the inspiring true story of how one man really is changing the world—one school at a time.